He was one of the world’s most famous horses, a magnificent grey Arabian stallion who carried Napoleon Bonaparte to some of his greatest wartime triumphs. Now, his skeleton, which has spent more than half a century on display at Britain’s National Army Museum in London, is nearing the end of a painstaking restoration project ahead of a new display. Staff at the nearby Natural History Museum took possession of Marengo to remove him from his original mount, reposition him, and carry out other much-need restoration work. This included several challenging tasks, such as removing thick metal bars placed in the center of each leg, which was part of the preservation work completed at least 50 years ago. With such an old and precious item, the decision by the army museum to undertake the work was not taken lightly. However, following a thorough inspection, it was found that Marengo’s bones still had some fighting strength and the skeleton was deemed strong enough to stand up to the work. The repairs and repositioning were led by Derek Bell, a professional prop maker, and Arianna Bernucci, a senior conservator at the Natural History Museum. The revitalised skeleton will be back on display at the army museum this northern spring. Marengo, born in 1793, was imported to France from Egypt in 1799 as a six-year-old. It is considered he was most likely bred at the famous El Naseri Stud. He stood only 14.1 hands at the withers. Marengo proved to be a reliable, steady, and courageous mount. He was frequently used in 80-mile gallops from Valladolid to Burgos, which he could complete in five hours. Marengo was wounded eight times during his military career. He carried Napoleon at the Battle of Austerlitz, the Battle of Jena-Auerstedt, the Battle of Wagram, and also during the emperor’s defeat at the Battle of Waterloo in 1815. 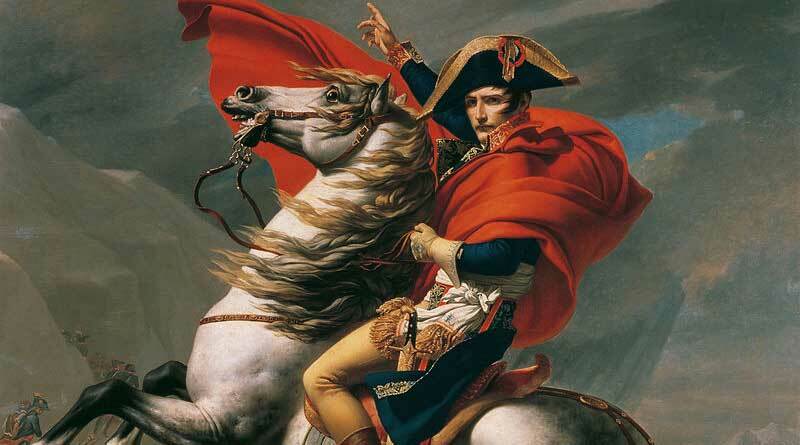 Napoleon fled the Waterloo battlefield in a cart, leaving Marengo to be captured alive by the Grenadier Guards. The stallion was taken to England, where he was cared for by Lieutenant-Colonel Angerstein. He died at the grand age of 38 in 1831, having outlived Napoleon by 10 years. Marengo’s skeleton was mounted and put on display at the now defunct Royal United Services Institute Museum. The skeleton was transferred into the care of the National Army Museum, where it has been on display since the 1960s, until its removal for the current restoration. Work not only involved repositioning and remounting, Tiny cracks in bones were repaired and the surfaces were cleaned.